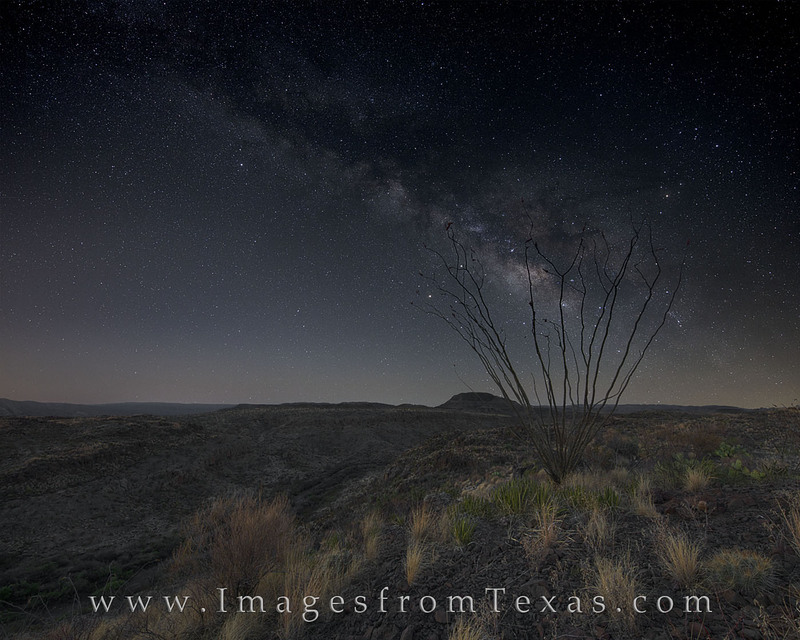 On a cloudless night, the Milky Way rolls across the sky in the remote reaches of Big Bend Ranch State Park. This area consists of 300,000+ acres, most of it completely untouched. On this night, I was only one of only 6 people in the entire park. With the stars overhead, you can feel pretty small on nights like this.